Is all the rain in Cleveland this spring making you SICK? Does rush hour on I-77 make you NAUSIOUS? Are you SICK and TIRED of your daily routine? Does your daily routine make you feel RUN-DOWN? Did you ever notice how life’s daily problems seem to be described as medical situations? Even more importantly, did you ever notice how the remedy is always the same? Get up and get away for a change in your routine. Simply translated, that means you need to TRAVEL. Who doesn’t enjoy getting away? A new location does a lot more for us than you might realize. Just breaking the routine can be therapeutic. 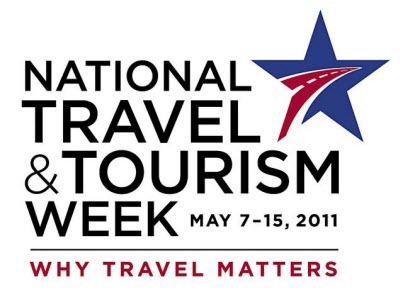 Even the trip planning itself can be a great mood-changer as you begin to look forward to the upcoming trip. Getting off the couch, getting outside, getting some fresh air, seeing some new sights, meeting some new people, trying some new foods…what’s not to like? Just taking even a few days can be a life changing experience as you renew and refresh your outlook on life. Try a new experience…ever been to a spa before? Go for a thrill…ever try zip-lining through the treetops? Go for humanity…why not try a volunteer vacation, helping those in need? 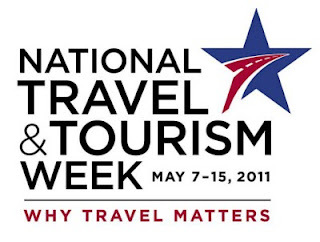 During National Travel & Tourism Week, you owe it to yourself to get up and go traveling, or at least start planning. You don’t need to go far to feel better.